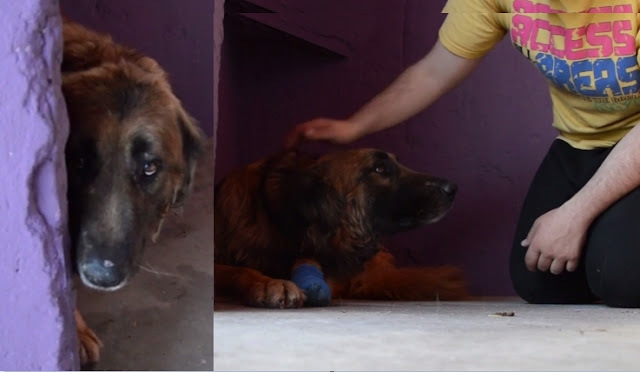 A dog who spent his entire life on a chain at a farm in Spain was finally freed after rescuers with Animal Rescue España found and saved him. They treated him with a lot of care and patience and their efforts paid off as captured in this touching video of Bron finally letting himself be petted shortly after his rescue. He has been with the rescue for a year now and has made tremendous progress. They are looking for a family who will show him love, kindness and understanding as he continues to heal. 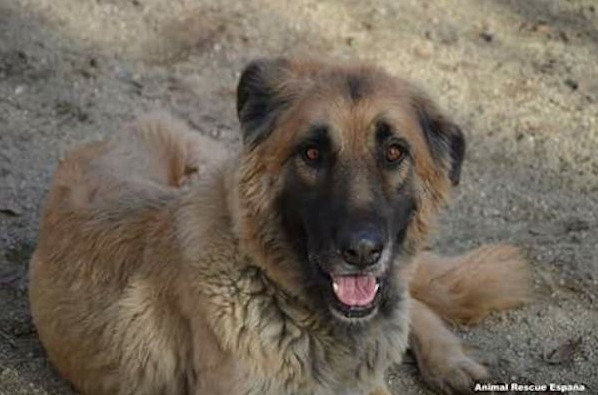 Bron is available for adoption in Madrid, Spain, but can be adopted anywhere throughout the country. Visit Animal Rescue España’s website for more information on Bron and their rescue efforts. Responses to "Dog Chained Up For 8 Years Experiences His First Caring Touch"
He has such a wonderful, kind and loving face. I hope he gets the great home he truly deserves.